The Android training course at Easy web Solutions is for those who want to build mobile applications and games for the famous Android Operating System from Google. The Android training course in Peermuchalla (Zirakpur) starts with the fundamentals of Java programming with basic concepts of Android application development. 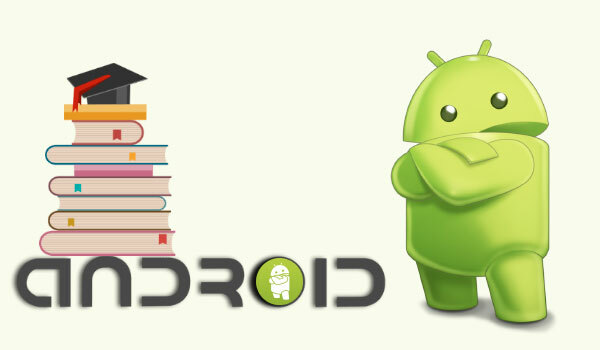 Android development tools such as AVD and ADB are introduced to the students after that. During the Android Development training, the students get an opportunity to develop sample Android applications so as to understand the whole workflow to be followed while developing Android applications and games. The students also get an opportunity to work on a live project with mentors assisting them. Shapes: Oval, circle, rectangle, round corner rectangle, shapes with strokes, shapes with shades. Example :Develop an App to demonstrate database usage. CRUD operations must be implemented. Final details should be viewed in GridView as well as in ListView.Do the same application with database operations in a single class(As a Model class) and do the CRUD operations with this class object. With increasing usage of Android operating system on smart phones in the third world countries, there has been a spike in demand of Android application and game developers. Easy Web Solutions provides placement focused industrial training in Android application and game development in Peermuchalla (Zirakpur). Most of the development companies like to hire to candidates who have completed Android App and Game development industrial training from Easy Web Solutions as the students are well equipped with the knowledge to start working on live projects. The structure of industrial training in Android has been developed in consultation with the industry specialists to ensure that the students are fully ready and confident to work on live projects. Some of the key focus areas of study and learning are interface components, graphics, and animations, multimedia, telephony, camera, building security and understanding the use of sensors on mobile devices.